Hello! The technique challenge at Club Scrap this month is torn paper. I decided to play along using the Tratorria collection. 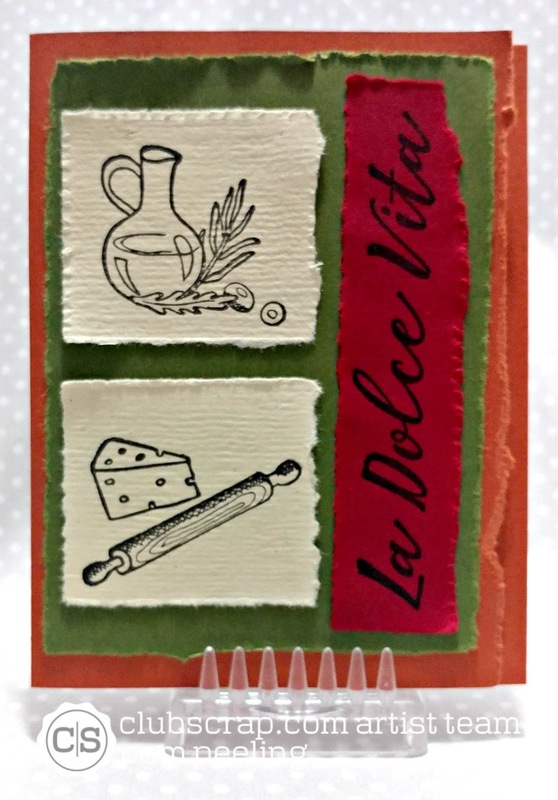 All papers and unmounted rubber stamp images are from the Trattoria collection. I ripped the papers for all the layers. I decided to rip the right hand edge of the card base too. Make sure to head on over to the Club Scrap blog and link up your own ripped paper project! Awesome layers! I can never seem to get my tearing sizes down to match like that. Nicely done. Pam your torn paper edges are perfection! Love how it all comes together to make the perfect card!